A crossroads for art and collectors providing greater access to both. Art has a surprisingly mobile life. And it persists. Across contexts, often across generations; from the studio at the moment an artist breathes life into an object, to the world where a piece may move through many spaces, an artwork's meaning, value—perhaps even its animate nature—accrues and changes over time. 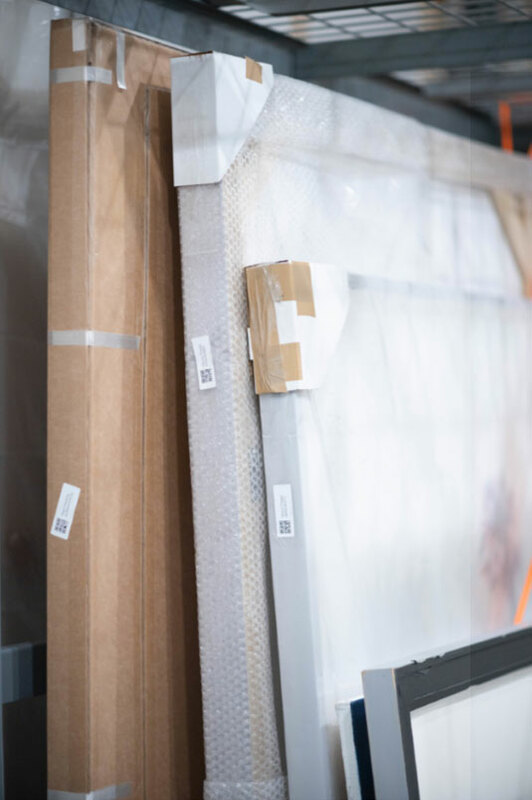 X Gallery holds art as it waits for the next setting in its journey. We place art with collectors who value and understand the social, cultural, and physical transitions of art. We provide a venue where this passage is understood and accounted for. Contact us. We customize solutions to the needs of each collector and we look forward to hearing from you. 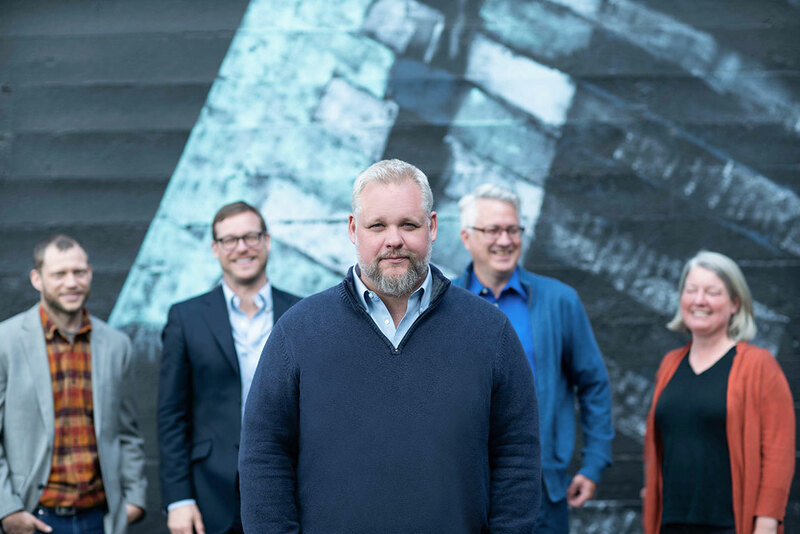 X Gallery has assembled a working team as well as advisors with the expertise to help artists and collectors successfully navigate the intersection of art preservation, technology, and art marketing and placement strategies. 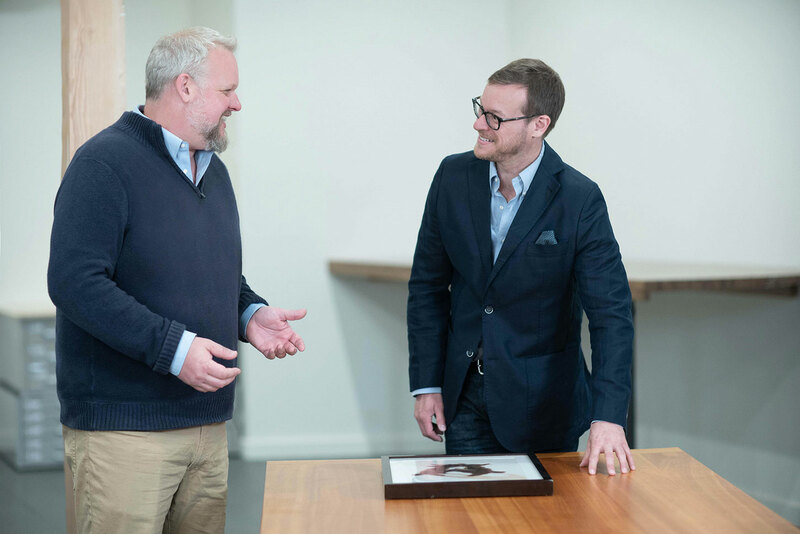 As the son of an art historian and an artist, president Zach Hull brings a deep and tacit understanding of the life cycle of art and objects, and the many ways in which individuals and communities interact with them. His own study and background in literature, art, law, marketing, technology and business strategy give him a unique vantage point from which to process the stories, need for care, and passages-both inherited and commercial-imbedded in our material legacy. An art historian from Reed College, a preservationist from Cornell, and the builder of her own backyard studio, Martha brings a combination of art knowledge, a preservation mindset, and deep DIY competence to the management of the collections in our care. Bobby's background in psychology with a Masters in Communication led to extensive experience guiding operational and software teams for growing companies. Bobby is essential to the underlying structure of our business that keeps both us and our clients up to date, organized, and logistically sound. 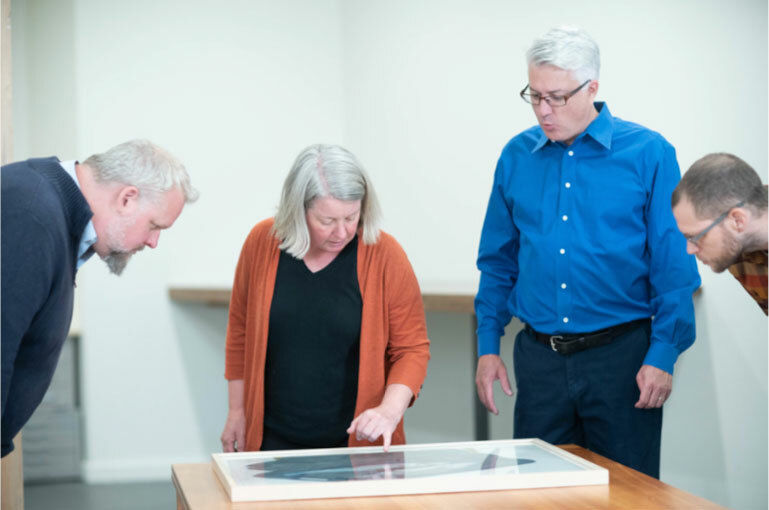 Professor Emeritus of Art History at Willamette University, Roger Hull enjoyed a 40-year career teaching art history, and affecting the lives of his many students who now number among the leadership community of the national art world. The instigator of the Hallie Ford Museum of Art, he recognized that the Pacific Northwest made-and continues to make-vibrant contributions to the national art dialogue, and championed an institutional showcase to make sure that story was told. Roger continues robust work as an author of monographs illuminating the canonical artists of the Northwest, including Jan Zach, Carl Hall, Nelson Sandgren, Charles Heaney, George Johanson, Louis Bunce, Harry Widman, Manuel Izquierdo, Henk Pander, and Lucinda Parker. Artist Bonnie Hull has a vital body of work including drawings, paintings, and more recently a fiber practice that translates her rich visual vocabulary to quilt work. Her artistic work has both been inspired by and responds to her integral involvement in the historic preservation of neighborhoods, gardens, and community experience in the Salem, Oregon area. Her blog following Northwest art has become an archive of shows, artists, and inspirations for living a creative life. A background in finance, marketing, and law led Kathy to a successful career as an attorney, and ultimately to her work with Reed College as Advancement Counsel and Senior Director of Gift Planning, where she directs all aspects of Reed's Gift Planning Program. Her work focuses on complex gift work; fundraising and stewardship; and providing legal and investment oversight of asset management and gift and estate administration. Associate Professor of Business at the New York University's Stern School of Business, Robert served as a Senior Economist for Technology and Innovation for President Obama's White House, and has become a leading expert on how technology, governance and market structure affect strategic interactions between firms and shape market outcomes. Rob focuses particularly on industries characterized by two-sided markets, including cable TV, credit cards, internet, newspapers, telecommunications, and other technology-focused industries. A graduate of the Pratt Institute's Computer Graphics program, Jeramie started his career providing brand inspiration for a native fine arts dealer in the Southwest and led to designing and animating award winning websites and advertising campaigns. His web expertise built and continues to care for our digital inventory and the ability for clients to access their collections from virtually anywhere. A historian, with a Masters in Radio, TV and Film turned MBA, Michael has spent 20 years as a financial analyst, consultant and CFO for a diversity of companies including Deloitte, Virgin Media, Clear, and Jet Reports. Michael is a board Member at Disjecta and sits on the Art Committee of the Multnomah Athletic Club.